ASIA SEED INDUSTRY NEWS, MARCH 2019: This page contains summaries of important seed and agriculture industry developments in the region, including news from India, Pakistan, China, Korea, Japan, Thailand, the Philippines, Myanmar, Vietnam, Cambodia, Malaysia, Brunei, Indonesia, Australia, New Zealand, Ghana, Nigeria, U.A.E., Canada and then some. Click the drop-down titles to expand the respective sections, which include links to original sources. 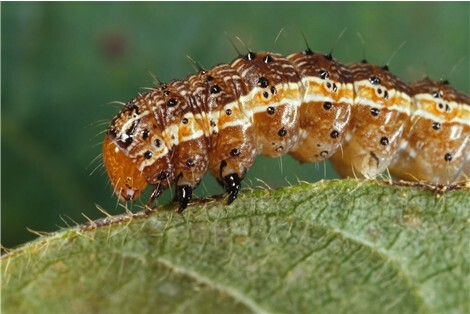 Combating spread of Fall Armyworm: The devastating fall armyworm (Spodoptera frugiperda) is rapidly spreading throughout South and Southeast Asia, as well as in southern China. Following are several news reports highlighting the latest developments. After confirmed in Myanmar in January, Michigan State University experts via USAID are cooperating with govt to mitigate. Meeting in Bangkok: pest can feed on 80 species including rice, sorghum, cotton and vegetable. Wagyu genetic smuggling attempt fails: The Epoch Times reports on a case in which two Japanese men were arrested after unsuccessfully attempting to smuggle fertilized eggs and sperm of Wagyu cattle from Japan to China. The attempt got as far as Shanghai customs, who did not permit the import of the genetic materials due to a lack of the required animal quarantine certificate. The article outlines various technicalities of Japaense export laws, as well as highlighting several recent cases involving Chinese subjects and the enforcement of genetic and germplasm IP infringement. India and Ghana cooperation for water, agriculture mechanization projects: The Statesman Online reports. Indian seed industry booms with quality seed: The Indian seed industry is estimated to be worth 200 billion Indian rupees per year, or about $2.8 billion, and growing annually by 7-8 percent. Quoted in an interview with The Hindu Business Online, president of the National Seed Association of India (NSAI) M Prabhakara Rao credited positive growth to the “healthy trend of farmers choosing quality seeds produced by the organised sector.” The interview was conducted ahead of the 9th Indian Seed Congress, organized by NSAI in Hyderabad 11 and 12 March, which APSA attended. In the interview, M Prabhakara Rao also spoke about trends in IPR litigation, GM-cotton, pink bollworm and herbicide resistance and hybrid rice. He noted that NSAI’s 500 members represent about 75% of the Indian seed industry. Among other headlines at this year’s the Indian Seed Congress, the NSAI on Tuesday (March 12) awarded the Telangana State Seed and Organic Certification Authority (TSSOCA) as a model seed certification authority in India. According to the The Hindu, during a session of the Indian Seed Congress in Hyderabad, a certificate of appreciation was issued to TSSOCA by Agriculture Production Commissioner of Telangana and Principal Secretary C. Parthasarathi at the hand of Union Agriculture Secretary Sanjay Agarwal. The recognition was made for “TSSOCA’s contribution in supporting and strengthening of seed industry through national and international seed certification systems and also for creating awareness about seed certification among the seed industry, farmers and policy makers.” The state of Telangana reportedly supplies more than 60% of India’s seed requirement and has certified more than two million quintals or 200,000 tonnes of seed. Kaveri Seeds launches new corn cob drying facility: Uniindia.com reports on the facility, which is located in Molangur in Karimnagar district of Telangana, developed at a cost of Rs 20 crore ($2.9 million) and built on the company’s existing integrated seed conditioning and packing facility, which spreads over 15 acres. The facility can reportedly process 400 tonnes of fresh cobs per day or 1,456 tonnes per cycle, and will help increase germination and vigor and also the shelf life of the seeds. Telenana farmers demand MSP for turmeric and red jowar: The New Indian Express reports that about 43 farmers had visited the District Collector’s office on March 18 to collect nomination forms for the Nazamabad constituency in the upcoming Lok Sabha elections. The farmers are demanding the government implement Minimum Support Prices (MSP) for the two crops. India’s first seed bank of ancient native tree species being set up in Jodhpur: The Times of India reports that a tree expert with the Afforest organization has initiated a project to study and procure ancient native seeds of the Thar desert in Rajasthan. The effort would see teams research ancient literature and artwork to identify ancient species, and with the help of tribal communities, seek out germplasm samples at old temples, sacred groves and forest areas. The seeds would be stored in a seed bank using traditional methods. IARI reveals new hybrid pearl millet varieties: The India Agricultural Research Institute (IARI) has to date developed around 16 hybrid/composites of pearl millet or bajra. Krishijagran reports that last year the staple Indian crop was cultivated on 7.4 million hectares in Gujarat, Rajasthan and Uttar Pradesh, as well as Maharashtra and Gujarat. Productivity stood at about 1.2 tonnes / ha with total production of about 9.13 million tonnes. Cotton seed price fall Punjab: The Times of India reports that the price of cotton seeds has dropped by 70 rupees in the past two seasons, which is a positive incentive for farmers. According to figures cited, near 50 million seed packets were used in India last year to cultivate the lint on 123,000 hectares. NAFED to the rescue for mustard: The Business Standard India reports that the National Agricultural Cooperative Marketing Federation of India Ltd.(NAFED) will procure large amount of mustard seed at a Minimum Support Price of 4,200 rupees per quintal, which is significantly higher than reported wholesale prices of between 3,500 and 3,700 rupees. Potato growers in Punjab’s Doaba belt, which produces India’s seed-potato needs, are struggling with the fourth successive year of low prices. The Indian Express reports that Doaba, a region in Punjab that comprises the four districts of Jalandhar, Kapurthala, Hoshiarpur and Nawanshahr, is considered to be India’s seed-potato hub. Eucalyptus prospects in Rajamahendravaram. The New Indian Express reports on a training session for eucalyptus farming. The trees are currently grown on 43,000 hectares, about half as before, but the trees could potentially be more profitable for farmers than traditional crops. Unlike the past, when seeds were used, the trees today are propagated using cuttings. Improving kiwifruit cultivation in Arunchal Pradesh: Though cultivation of the popular fruit is becoming more popular in the Indian state, the fruits are not yet able to compete with those sourced from New Zealand, Australia and Italy due to the lack of cultivation technology available, reports Nenow.In. Veg and ag input prices surge: Dawn Pakistan is reporting that prices of the key solanaceous crops have increased significantly at Punjab wholesale markets. Compared to 2018 reference prices, tomato prices have risen nearly tenfold from 24 rupees to as much as 200 rupees; while green peppers have gone from less than 100 rupees per kg to 400 rupees / kg. Reasons for the jump cited by an official include rain damaging crops as well as the fact that these crops are sourced from Sindh and Balochistan in Pakistan as well as from India; due to recent tensions, supplies from the latter have been affected. Significant rice rises for various types of pulses and vegetables were also reported in Karachi, including for carrot, eggplant, tomato and onion. Reasons cited there include heavy rains damaging crops, as well as reduced yields linked to farmers using sub-standard seed. In Hyderabad, the Sindh Chamber of Agriculture, a farmers lobbying group, are pushing for the Federal government to implement price controls on agriculture inputs, such as urea, which reportedly jumped to 1,850 rupees per bag up from 1,350 rupees, reports Pakistan Today. Ag stakeholders to set rainy season targets at April meeting: The meeting on April 17, is organized by the Federal Committee on Agriculture, and will be attended by reps from provincial ministers, the State Bank of Pakistan, Zarai Taraqiati Bank, Pakistan Meteorological Department, Indus River System Authority, and the Seed Certification and Registration Department. Stakeholders will review the production of Rabi crops and set targets for the Kharif 2020 season, reports the Tribune Pakistan. In related news, a shortage of water for agriculture is expected in first part of the rainy season. See also El Nino news in Inter-regional section above. National agriculture emergency program for project funding: The International News Pakistan reports that the Federal Government will push agriculture investments in the coming five years. 290 billion rupees has been allocated for projects that will focus on improving productivity and resource efficiency, especially for main crops of rice, sugarcane, wheat and oilseeds. Large landholders dominate Pakistani agriculture: According to an article by the International Viewpoint, large landholders in Pakistan — who own more than 50 to 64 acres of land — have unfair economical advantages over small landholders, who are defined as owning less than 12.5 to 32 acres of land. Accordingly, about 5% of the large landholders posess 65% of total farmland compared to 65% of the small landholders holding just 15%. Likewise, large landholders unequally get more bank credit, while some 50% of rural households are landless. Plant Protection Department under fire: The Sindh Abadgar Board has appealed for the Prime Minister and the Agriculture Minister to investigate claims that the Plant Protection Department is responsible for biosecurity incursions. They claim that the department allowed for agriculture items to be imported without enforcing proper phytosanitary measures, and thus cause the spread of disease. Subsidies for cotton seeds: The News Pakistan reports that the Pubjab government is providing seed subsidies to farmers in eleven South Pubjab districts: Multan, Khanewal, Lodhran, Vehari, Bahawalnagar, Bahawalpur, Rahim Yar Khan, Dera Ghazi Khan, Layyah, Muzaffargarh and Rajanpur. The subsidies apply to several approved varieties, including UB-2013, FH Lalazar, FH-142, BS-15 and MNH-886. The move comes as Pakistan — the world’s fourth largest producer of cotton — looks to revive the cotton industry after a gradual declinine in cultivation over they years. Dawn reports that cotton output last year was 11 million bales and the government looks to increase this to 15 million bales in 2019-2020. To do so, a plan will be implemented in which the federal and Punjab governments ensure the provision of quality certified seeds. Punjab will need 46,600 tonnes of seed to met the planting target for 5.7 million acres. The News reports that cotton seeds were being provided to farmers at a rate of 1,000 rupees per bag for cultivation across 100,000 acres. Punjab governor vows for quality seeds: Speaking at a conference in March, the governor of Pubjab, Chaudhry Muhammad Sarwar vowed to promote agriculture in the Pakistani province; specifically to provide “cheap and high quality seeds to farmers by bearing the burden of cost,” and cracking down on substandard seeds, reports The News Pakistan. Drones for aerial seeding: The chief commissioner’s office reveals an operation to increase greenery along the Margalla Hills in Islamabad using drones to broadcast seed balls. According to Dawn.com, drones will carry and sow seed balls with 15 undisclosed tree varieties on the hills, which are rich in shrubs but not trees. Digitizing disbursement of ag input subsidies: Mobile wallet firm, JazzCash is partnering with the Punjab’s Agriculture Department in a project to digitize the disbursement of subsidey payments to farmers. Dispatch News Desk reports on the partnership, which is part of efforts to make Pakistan a digital, cashless economy. Farmers will be able to access subsidies from the government for fertilizer, cotton, oil seeds and other inputs through a digital platform developed by JazzCash, and thus bypass banks. Balochistan farmers, officers and students get ag training: The Pak Observer reports that the National Agriculture Researc Center has provided training for 1,719 persons from 31 districts in Bolchistan over the past five years. The training, which took place at various research institutes from 2013 to 2019, extended to best management practices of cereals, horticultural crops and livestock. Being considered are similar projects to train farmers through cooperation with Italy and Japan. Strawberry cultivation on the rise in Punjab: According to The Tribune Pakistan, strawberry cultivation in Punjab has increased by 22% in the past few years, and is expected to continue to grow. All 36 districts in Punjab are suitable for cultivation, with ideal lower temperatures and expansive land. Productivity there now stands ranges between 800 and 1,200 maunds per acre, and one plant can yield 500 grams of fruit. The China Seed Congress 2019 is set to be held on March 31 and April 1 in Beijing. The event, which is the second following last year’s successful inaugural edition, will take place at the International Convention Center (No.8 Bei Chen Dong Road, Chao Yang District, Beijing P. R. China, 100101) and is organized with the approval of the Ministry of Agriculture and Rural Affairs (MARA) of the People’s Republic of China, and hosted by China National Seed Association (CNSA). The theme this year is “new ear, new missions, new seed industry and a new journey”, leading China’s seed industry and common prosperity as purpose. CNSA is striving to make it be a high-end platform to promote cooperation and joint development, and create an international brand for seed industry.” For details and invitation, click here. Chinese scientists identify ‘germination switch’ protein in cotton seeds: Researchers from the Agricultural College of Zhejiang University have identified the “HSP24.7” protein as a trigger for cotton seed germination. The discovery, which was published in the Journal of the National Academy of Sciences, as reported by CQ News, found that the precense of the protein was linked to a moisture and temperature response mechanism in the seed. Spring supply orderly: According to Kaixian.tv, no illegal activity was found from an inspection of 130 seed shops in Luliang county of Yunnan province. The inspection was organized by officials from the Luliang County Agricultural Bureau Seed Management Station and the Plant Protection Station, with 60 officers checking various aspects of seed dealings, including the compliance of seed business regulations, rules and laws. Some seeds were found to not be in full compliance with online registration requirements, and the dealers were given deadlines to comply accordingly. In related news, 38 rice seed samples were collected from 22 seed wholesale suppliers in the Feidong county of Anhui province for inspection. Also in Anhui, on March 18 in the city of Anqingg, a capacity building session on seed management and inspection was organized for more than 40 persons, including seed management station officials. The session focused on seed sampling, testing and quality management. Qingdao intercepts unauthorized veg seeds in mail: Sina.com reports that Customs officials of the Qingdao Post Office discovered packages of undeclared carrot and eggplant seeds that had not received proper phytosanitary clearance. The seeds, discovered through a CT scan, weighed a total of 9.5kg and an investigation is ongoing. Hainan breeding hub project feasibility: A brief on hi.chinanews.com reported that the feasibility study for the construction of the National Nanfan Biological Breeding Area project in Hainan has been approved. No specific details were provided; Asian Seed will be following this development. Suspect nabbed after selling unlicensed corn seeds: Laoting police arrested a suspect who was accused of selling low-quality seeds that reportedly failed to deliver sufficient germination. Bohai News reports on the incident in which a person bought 750kg worth of maize seeds for 110,000 yuan ($16,400). However many of the seeds allegedly failed to germinate, costing the complainant 80,000 yuan ($11,900) in losses. When police inspected, they learned that the seed seller had not obtained a license to sell seeds, and the suspect was arrested before being released on bail as the case is under investigation. Lanzhou Customs fast track for seeds. The movement of seeds to and from northwest China’s Gansu Province is peaking this spring season. According to Xinhua.net, last year some $134 million worth of seeds were exported from the province to some 80 countries, representing 65% of the market. As of the end of February, Lanzhou Customs had inspected 61 batches of imported seeds, representing 1,456.7 kg. The article notes of special paperless customs measures being implemented to help streamline processes. $14mn in outgoing seeds clear customs from Guangdong: The General Administration of Customs, P.R. China, reports that Shantou Customs in the Chenghai district of Guangdong have processed four batches of seeds this year as of March 25. The seeds weighed a total of 1,600 kilograms and had been exported to Vietnam, Iraq, Canada and the US, among other countries, with phytosanitary certificates. Fujian forestry seed output bright: According to fjsen.com, the Provincial Forestry Bureau in 2018 report on a new breakthrough in the total output of forest seeds, yields of improved varieties in the province. The total annual seed output was 1,2607.8 kg, the yield of improved seeds was 9215.3 kg. Last year, the province arranged for the allocation of central and provincial financial funds of 13.71 million yuan for the construction and management of forestry seed breeding bases, 2,205 acres of new improved seed bases. Up to now, the province has built 71 well-established bases with a total area of ​​72,000 mu. Warm and dry winter cited for high prices of some crops in Chinese Taipei: Llychee, onion and garlic crops have been negatively affected as the result of warm weather and low rainfall, reports Fresh Plaza. Citing the Agriculture and Food Agency, large onions have reduced by 20% while an estimated that 6,500 to 7,800 hectares of lychee farms south of Taichung have also been impacted. Some crops however, such as pineapple and coffee beans have benefited. Seed garden constructed in Heilongjiang province: A total of 150 excellent trees were selected, and 10,000 branches of cuttings were collected for the construction of a seed garden for germplasm resources preservation initiative by the National Forestry and Grassland Bureau, culminating half a month of work by more than 10 technicians. Seed Innovation Institute meeting: The council of the Institute of Seed Innovation of the Chinese Academy of Sciences met in Beijing on March 14. Attending members of the institute reaffirmed their alignment with General Secretary Xi Jinping’s call to ensure national food security, in line with the country’s strategic needs and the role of the Seed Innovation Institute in basic research and variety cultivation, as well as recent significant progress in major infrastructure platforms and major project organizations. Syngenta Chief Financial Officer on ChemChina takeover: CFO.com has published an interview with Sygenta’s Mark Patrick about the company’s operations and structure since state-run chemical company ChemChina acquired it in 2017 for $43 billion. He noted that not much has changed since the takeover in terms of operations other than reporting requirements and having greater access to the China market. Vegetable seed commune in Hanoi : Many households in the Vinh Phe and Chu Quyen villages (Chu Minh commune, Ba Vi district, Hanoi) make a comfortable living growing and selling seedlings from imported seeds. According to a report by Nhipsong Hanoi, local farmers are growing commercial varieties of onion, garlic, lettuce, celery, kohlrabi, cabbage and tomatoes using seeds imported mainly from Japan, Holland, Thailand and America. The seedling farmers apply a cooperative economic model initiated by a the Commune Farmers’ Association of Chu Minh. The main growing season for seedlings there is between June and December, and local families are reporting incomes of between 30 million and 1.4 billion VND per year. Pest-resistant greenhouse tomato seedlings by the hectare: The Hoa Viet and Yen Phong farms of two communes of Binh Binh and Yen Phong villages of Yen Dinh district in Thanh Hoa province were selected to participate in a project designed to “help people have quality seed sources and new farming techniques to raise income,” reports Dan Toc Mien Nui. The project involved the building of large greenhouses used to raise seedlings of tomato as well as some other flowering crops. The tomato seedlings are reportedly made to be pest-resistant using a special technique in which the tomato plant is grafted onto a eggplant rootstock. Reserved rice planting urged in Kien Giang: Winter and spring rice harvest is underway in Vietnam, where more than 289,000 hectares of rice were planted, and pending the harvest conclusion in March, output is expected to exceed 2 million tonnes. According to Nongnghiep Vietnam, agriculture officials in Kien Giang province are urging farmers to plant special varieties in the coming spring-summer season on a strict contractual basis and to be sensitive about overlapping rice planting and harvesting periods due to the growing threat of disease linked to off-season cultivation, in addition to limited water resources. Premium ginseng seedlings ready for air delivery: A dealer in premium products and varieties of Vietnamese ginseng (Ngoc Linh or Panax vietnamensis) is prepared to ship fresh seedlings in addition to processed ginseng tubers and extracts from central Vietnam to Hanoi by air, reports Soha.vn. The plants are initially raised in nursery and transplanted on a thick forest canopy ground at one year, and grown for seven to 10 years before the plants are adequate harvest and extract. One kilogram of the product (13 to 23 tubers) costs between 90 and 130 million VND ($3800 to $5,600). Hybrid maize productivity drops in Ninh Thuan: Bad weather is blamed for poor yields of F1 maize crops in the Ninh Son district of Nin Thuan province, reports Nongnghiep.vn. According to accounts, some farmers’ fields this year were only able to yield 3 tonnes of crop (or about 1.5 tonnes of grain) per hectare, compared to the usual harvest of 9-10 tonnes of crop per ha. With production costs for seeds, fertilizer, pollination, ect. estimated to be about 40 million VND ($1,700) per hectare, and returns with such low productivity is only about 27 million VND ($1,165), putting farmers at loss. Asparagus calling: Danviet news reports on one Vietnamese farmers early success growing asparagus. Mr. Nguyen Van Thuc of the Nga Son district in Thanh Hoa province last year started growing asparagus on about 1,800 square meters of land. His investment in seeds and irrigation equipment was about 70 million dong, or about $3,000. After about 7 months, his family started harvesting 5-8kg a day, which yielded about 13 million VND in the first month based on the market price of about 70,000 to 80,000 VND per kg. Spring planting tips from the RDA: Korea’s Rural Development Administration (RDA) has introduced soil and planting preparation guidelines for farmers and gardeners ahead of spring planting. According to Edaily.co.kr, mid-to-late March is the ideal time to sow seeds of carrots, beans, cabbage, potatoes, lettuce and others in Korea. Thus, the RDA has published guidelines including steps that need to be taken in order to ensure the soil is ready. These include tilling and turning of soil, and the application of compost. The RDA has also issued guidelines for the planting of bean seeds, covering seed selection based on color and seed size as well as recommended mechanization methods to increase productivity. SEM seed photo exhibition: A special photo exhibition is being held at the Dae Ah Arboretum in Jeonbuk Wanju County until March 29. The exhibition features photos of seeds photographed using scanning electron microscope (SEM) technology. All in there are 37 works, including SEM images of Baekdudaegan native species, such as pomegranate grass, chrysanthemum as well as landscape photos from the Baekdudaegan Arboretum. Retailers have sway in vegetable production: According to an article by NocutNews Korea, large retailers control some 70% of Korea’s vegetable distribution market. When demand is high, retailers can inject sufficient capital and to ensure sufficient quantity of crops are procured through contracts; though saturated markets may result in falling prices. When prices surge due to shortages, farmers are tempted to not honor are contracts, but when demand falls due to oversupply, farmers are disadvantaged. Sending out spring seeds: Newspeak Korea reports on an initiative by the Gyeonggi Provincial Agricultural Research Institute and the Gyonggi-do Master Gardener Association, who mailed “Hope Seed Letters” this month to 500 urban recipients. The letters contained 33 flower and vegetable seeds for spring planting, including water spinach, marigold and lettuce. Native seeds bank set up in South Gyeongsang: A women’s farmers association has launched the Geochang Domestic Seed Supply Center in a village in Geochang. Set up with a local subsidy, the collection currently includes 111 varieties of native seeds and is growing as participants conduct ongoing surveys throughout the province to identify and preserve and exchange native Korean seeds. Preserving forest seeds in face of climate change: The National Park Corporation under the Ministry of Environment on March 20 signed an agreement with the Korea Arboretum Management Office under the Korea Forest Service Agency and the Korea Arboretum Management Center in Bonghwa, Gyeongsangbuk-do to preserve the genetic resources. The two organizations agreed to explore and collect forest resources that are vulnerable to climate change, such as coniferous trees in the Baekdudaegan national park. An article by epnews.com mentions details of strengthening and maintaining permanent storage facilities possessed by the Korea Arboretum Management Center. To date, the National Park Corporation has established genetic information on 6,239 species of biological specimens and 116 species of core genetic resources through natural resource surveys and marine ecosystem research. Ag bank thanks customers with seeds: NH Seoul Nonghyup Bank distributed spring flower and vegetable seeds to its customers as a token of appreciation for their business, reports SE Daily. Korean native species book published: The National Biological Resource Center is planning to publish the “Seedlings of Native Plants I” publication for distribution to major libraries, research institutes and administrative agencies across Korea. Moreover, the book will be catalogued at the National Biological Resources Center (www.nibr.go.kr). The book features information on 69 important plant species, including bamboo and plants of the lamiaceae family, with enlarged photographs of seeds and seedlings taken using microscopes. It also contains information about vitality testing to determine if seeds are live or not. Banana leaves replacing plastic for produce: The Rimping Supermarket in Chiang Mai is trialling a environmentally-friendly method for packaging fresh produce — using banana leaves instead of plastic bags, reports the Epoch Times. Hybrid seeds tripling yields: Filipino rice farmers are able to realize paddy yields of between 9 to 14.4 tonnes per hectare — significantly higher than national average yields of between 4 to 5 tonnes/ha. This is thanks to the planting of hybrid rice seeds such as SL Agritech’s SL-8H variety, reports the Manila Times, who cites several such examples. Govt to probe ‘expensive’ hybrid corn seeds: The Philippines News Agency reports that Agriculture Secretary Emmanuel “Manny” Piñol will probe multinational corporations dealing in hybrid maize seeds in response to fears of monopoly. Hybrid maize seeds reportedly cost Filipino farmers 12,000 pesos ($228) per hectare. Though hybrid and GM seeds cost more, they are credited with helping the Philippines to achieve 100% self sufficiency for maize. In 2018, maize farmers in the Southeast Asian country planted 2.5 million hectares of the staple crop, which yielded 7.7 million tonnes. PPP to boost potato farming and self-sufficiency: PTVNews.com reports on initiatives in the Philippines to boost the potato industry. Mentioned is a PHP5 million program between the Department of Agriculture and Universal Robina Corp. in which the latter is providing potato tubers to farmers, while the former is providing necessary inputs, training and linking the farmers to research institutions, including the The Southern Philippines Agri-Business and Marine Aquatic School of Technology, which will “provide research and development assistance through monitoring the yield performance and the occurrence of pests and diseases…”. Also mentioned is cooperation with the Bureau of Plant Industry-National Seed Quality Control Services (BPI-NSQCS), who will conduct and train potential seed growers to make quality potato seeds available in the Davao Region. Water tanks for poor farmers: Relief Web reports on an initiative by NTA East Indonesia Aid to build and provide 15,000 liter ferrocement water tanks for participating households and cooperatives in rural communities of Indonesia’s East Nusa Tenggara province, where 30% of the locals reportedly live below the national poverty line and have limited access to water for farming and domestic use. Endangered Sumatran elephants threatening farmers’ livelihoods: Farmers in the Semerantihan village in Sumay district of the Tebo regency, have struggled to get a good night’s rest for the past four years due to the constant threat of elephant herds coming to stomp on and eat their crops. The elephants are protected as endangered species and killing them can carry five years’ imprisonment and Rp 100 million (US$7,005), reports the Jakarta Post. Farmers thus have no choice but to try and scare them away, but to no avail. Funds granted cocoa seed drying and storage: The Ranau Cocoa Planters Association and District Malaysian Cocoa Board (LKM) have allocated RM21,000 (US$ 5,150) for the building of a wet cocoa seed drying cottage as well as dry cocoa seed storage store. The Daily Express Malaysia reports that the government has also allocated funds for the construction of a cluster cocoa center in the village of Napong Dua, to the tune of 12 million ringgit, or about $3 million. Ag and food self sufficiency targets on track: Productivity in the agriculture sector of Brunei Darussalam is on the rise thanks to efforts by the government to increase food self-sufficiency. According to a report on China.org.cn, agriculture revenues in the Southeast Asian nation grew by 19% from 2015 to 2018, reaching 436 million Brunei dollars ($321 million). Citing Brunei’s Minister of Primary Resources and Tourism, the report notes that the country has nearly achieved 100% self sufficiency in eggs and chicken, and was at 46% for vegetables; 37% for fruits and 30% for meat. However, the country is still heavily dependent on rice imports, reports the Borneo Bulletin. In 2017 rice self-sufficiency reportedly stood at just under 5%, and the government is looking to more-than double this figure by 2020 using high-yielding seed varieties and efficient cultivation and irrigation techniques. As part of its efforts it is consulting about hybrid rice production with counterparts in the Philippines and China. Diversifying markets for Cambodian rice: The Cambodian government is actively seeking new markets to export it rice. The Phnom Penh Post reports on the efforts to secure deals in the EU, Philippines, China, Vietnam, Korea, as well as in Central Asian and Middle Eastern countries. Though rice cultivation and processing has increased in Cambodia, it struggles to compete with neighboring countries in terms of cost. Expanding crop insurance scheme: Global World Insurance Co (GWI) is expanding its crop insurance to rice farmers in the Ayeyarwady, Mandalay, and Yangon regions. The Myanmar Times reports that the Ministry of Planning and Finance last January approved a two-year pilot project for GWI’s crop insurance, which compensates payouts to farmers whose crops were damaged or lost due to bad weather. The payouts are based on the market price per acre of rice harvested in different regions. Improving avocado standards with better seeds: The Myanmar Times reports that some 1,000 different varieties of avocado are grown in Myanmar. Due to such wide variety and “poor harvesting techniques”, the industry currently lacks consistency in terms of production and supply. Currently, Myanmar has about 1,600 to 2,000 hectares of plantations that are older than five years, and some 12,000 ha that are less than five years old. Nonetheless, there are concerted efforts to standardize production with quality seed and implementation of best practices, with the article highlighting a modern plantation spanning about 24 hectares, which is expected to yield premium fruit by next year. Pacific Seeds to launch new herbicide-resistant canola varieties to Australian market: The Rural News Australia reports that Pacific Seeds is ready to market two new hybrid canola varieties to Australian farmers ahead of this year’s growing season. The move follows China recently approving the Bayer-developed TruFlex herbicide resistant trait in imported grain crops. The seeds were developed in Chille and trialed in Australia last year in anticipation of China giving the green light, a process that reportedly took six years. Pacific Seeds will launch two new hybrids with the Truflex trait, which are Hyola 410XX, a straight Truflex hybrid, as well as Hyola 530XT, an “Australian first stack which offers both the Truflex trait as well as triazine tolerance”. China is Australia’s largest market for canola. All about Australian wattleseed: Wattleseed refers to the edible seeds of more than a 100 shrub species of the Australian Acacia genus, and is a popular ingredient for chefs around the world. Known for its flavor that has been compared to hazlenut, vanila and chocolate, the seeds can be eaten directly, ground into a flour and used in cakes and confectioneries. The demand is growing and many Australian farmers are optimistic about growing the plant, reports Devdiscourse.com. Battling tomato potato psyllid: Potato News Today reports on industry-driven research funded by Potatoes New Zealand to manage the threat of the devastating tomato potato psyllid pest. Efforts include spraying programs, traps, as well as the use of biological control agents such as the Tamarixia wasp, a natural predator of the pest.